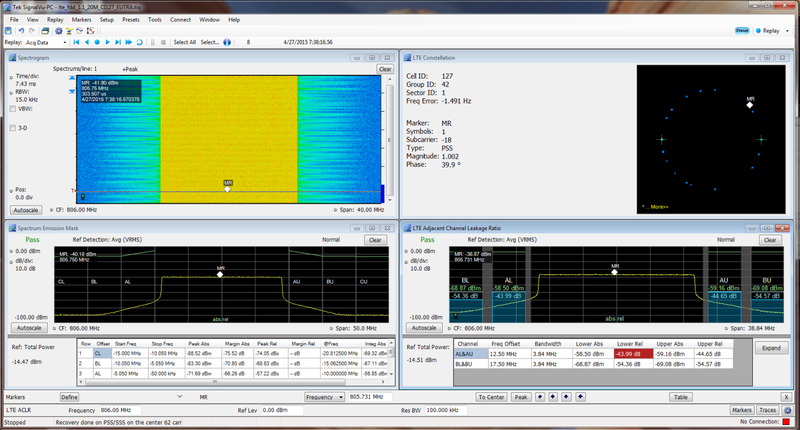 SignalVu-PC is the foundation of RF and vector signal analysis software that helps you easily validate RF designs. 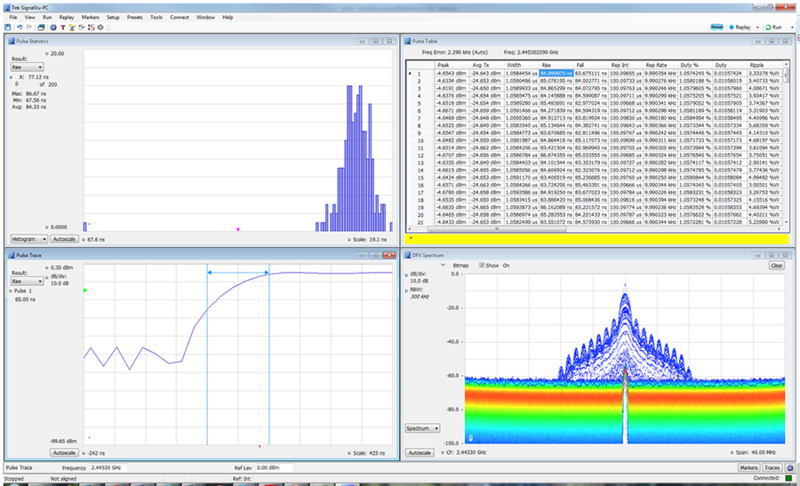 Whether your design validation needs include EMI/EMC pre-compliance testing, wideband radar, wireless LAN or frequency-hopping communications, the SignalVu-PC comprehensive suite of tools and application software can speed your time-to-insight by showing you the time-variant behavior of these signals. 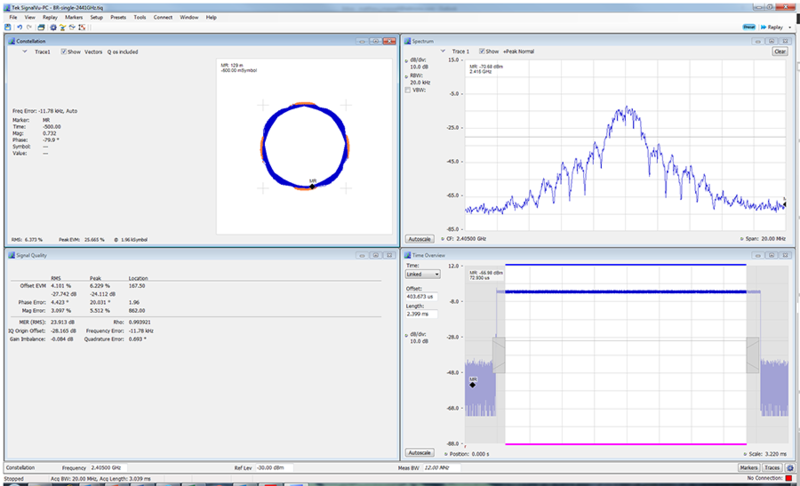 SignalVu-PC's free base version has 17 signal analysis and real-time spectrum analysis, with paid add on options for EMI/EMC pre-compliance testing and de-bugging, vector signal analysis, pulsed signal analysis, and commercial wireless signal analysis. 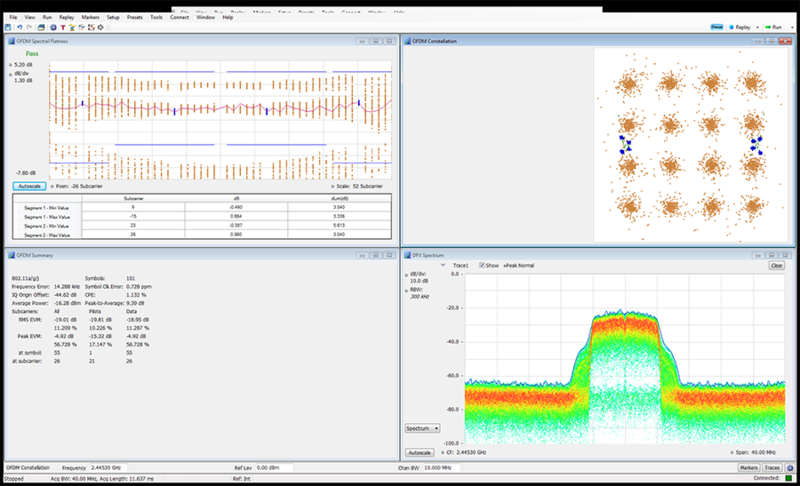 SignalVu-PC vector signal analysis software uses the same analysis capabilities found in the RSA5000 and RSA6000 Series real-time signal analyzers. Time-correlated measurements can be made of frequency, phase, amplitude, and modulation versus time. 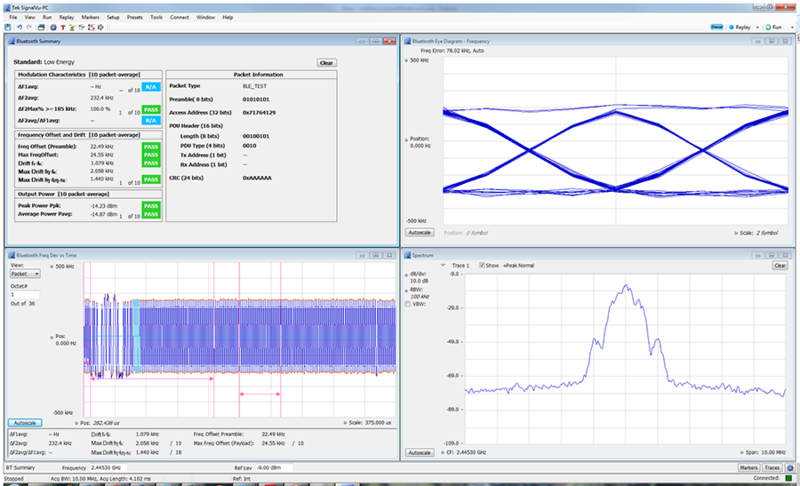 Acquisitions from the USB Spectrum Analyzers and all Tektronix MDO/MSO/DPO Series oscilloscopes, including the spectrum analyzer in the Mixed Domain Oscilloscope can be analyzed with SignalVu-PC, adding deep analysis capabilities to these broadband acquisition systems. 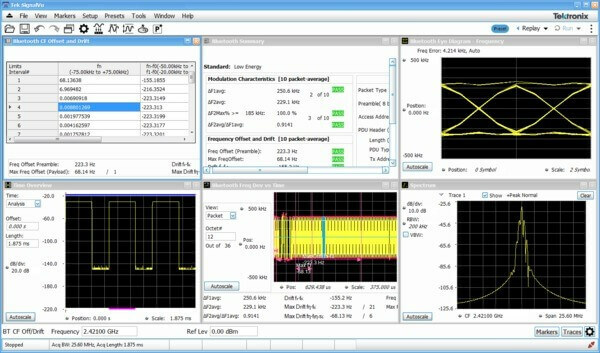 Signals acquired with RSAs and Specmon can also be analyzed with all post-acquisition analysis capabilities of those instruments. 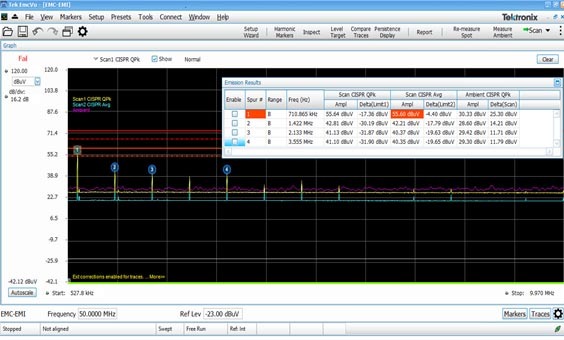 SignalVu-PC now supports EMC pre-compliance testing with EMCVu. 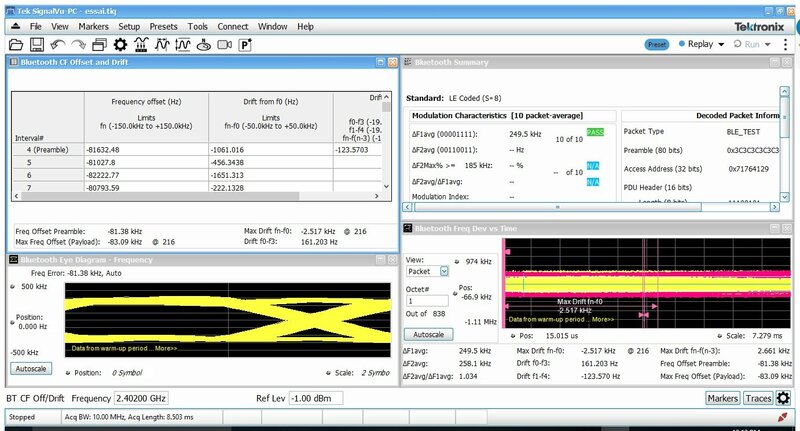 EMCVu is an all-in-one software solution for EMI/EMC pre-compliance testing and troubleshooting that runs on your own PC. This gives you an easy, fast, accurate and affordable way to determine if your product designs are ready to submit to the test house for EMI/EMC radiation emission compliance testing. This is done through push button support for multiple standards, automated multiple measurement/multiple format reporting, ambient noise calibration and comparison, harmonic markers and faster scans using peak detector and spot measurements with quasi-peak and average detector failures. 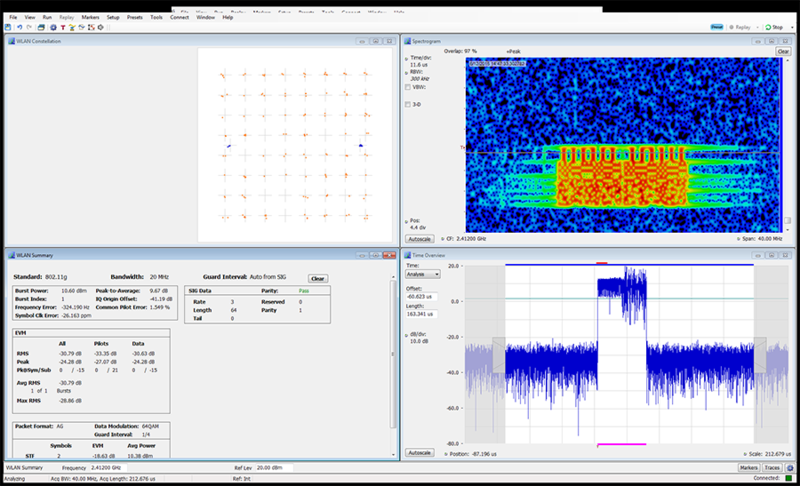 The basic SignalVu-PC enables spectrum analysis, RF power and statistics, spectrograms, amplitude, frequency and phase vs. time, and analog modulation measurements. 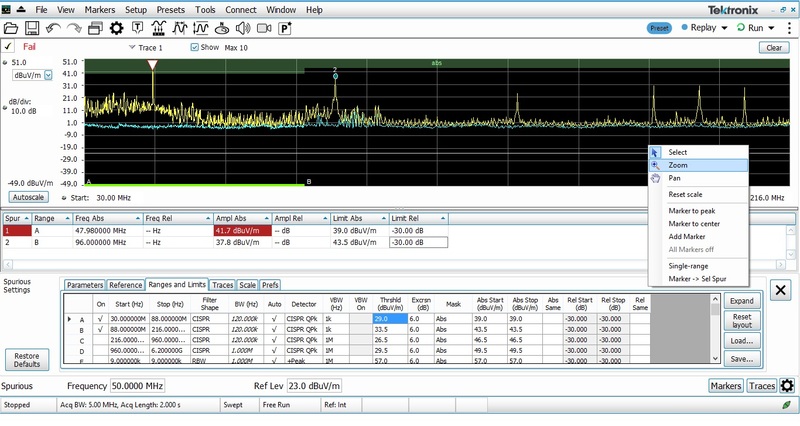 Applications are available for P25, Bluetooth, LTE, Mapping, Playback of recorded files, WLAN, settling time, audio, modulation, pulse, and OFDM analysis. 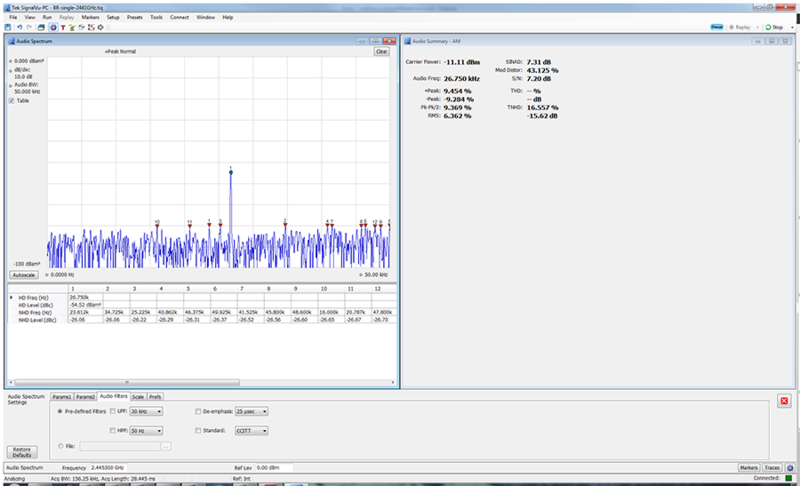 Wideband satellite and point-to-point microwave links can be directly observed with SignalVu-PC analysis software. Settling time measurements (SVT) are easy and automated. 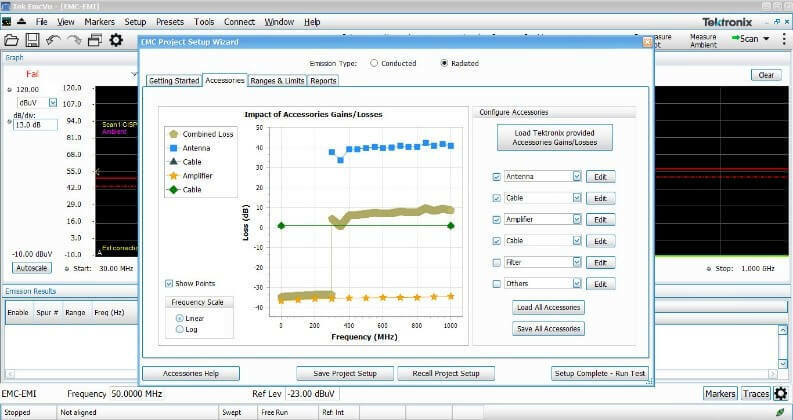 The user can select measurement bandwidth, tolerance bands, reference frequency (auto or manual), and establish up to 3 tolerance bands vs. time for Pass/Fail testing. Settling time may be referenced to external or internal trigger, and from the last settled frequency or phase. The free base software comes with 17 standard measurements. We also offer upgrades to more than 15 advanced measurements. These additional measurements are available for any of the platforms supported by SignalVu-PC or SignalVu. Try any application upgrade free for 30 days. Buy only those you need. 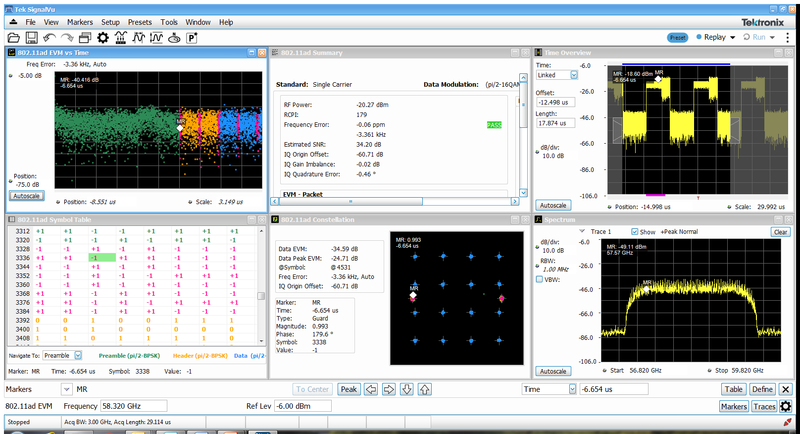 First download the free SignalVu-PC software, then enable the application trials of your choice. Upgrades are available as a node locked or floating version. Node locked licenses let you move to a new PC three times. Floating licenses allow selected users to manage individual licenses. All trials are floating licenses. 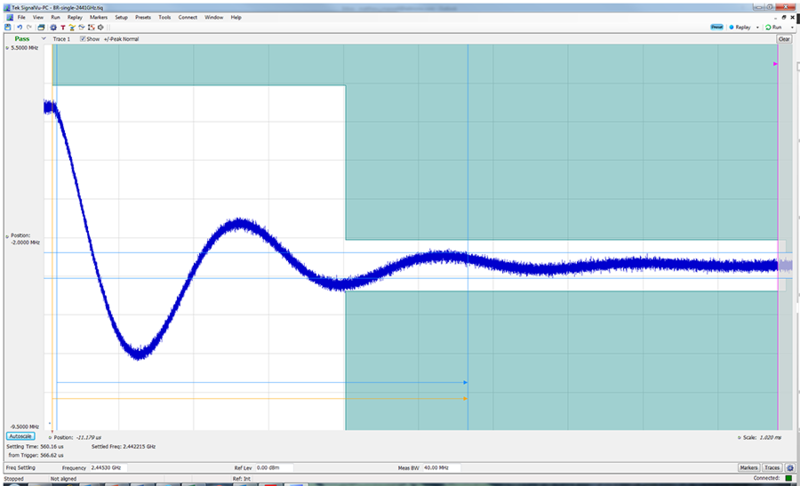 High pass filters, low pass filters, deemphasize filters both preset and user settable. 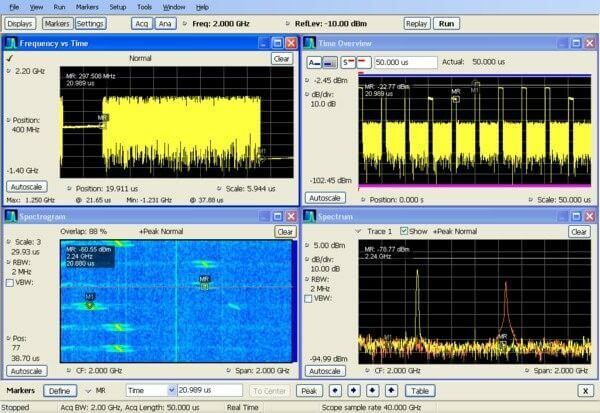 SignalVu-PC uses the same feature set and user interface that is found in the RSA5000, SPECMON, and RSA6000 Real-Time Spectrum and Signal Analyzers. 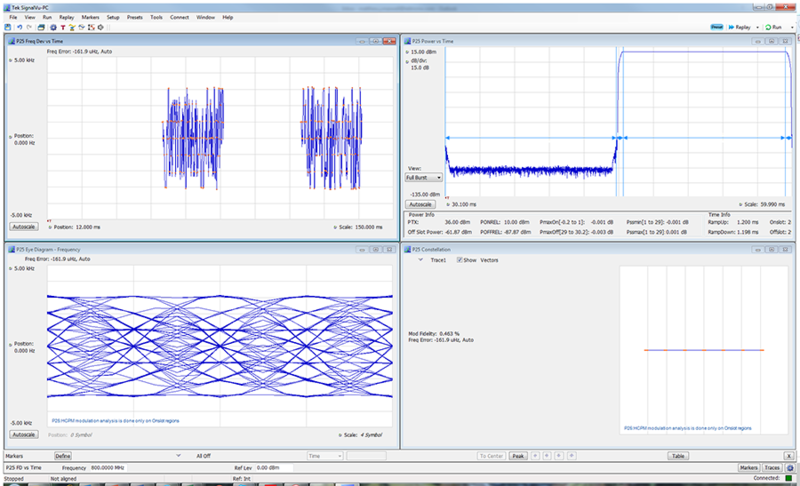 Also, SignalVu-PC has the same feature set and user interface as the SignalVu options that are available on the MSO/DPO5000, DPO7000, MSO/DPO70000, and DPO70000SX Series Oscilloscopes.